The Arenal volcano area was a farming area 50 years ago. That all changed after the volcano´s eruption in 1968. It transformed the area into what is now one of the most popular tourist areas in Costa Rica. After the eruptions the area became a natural tourist attraction. As time passed even though agriculture is still important to the area, tourism has become its main source of income for the area. So what is there to do in Arenal? 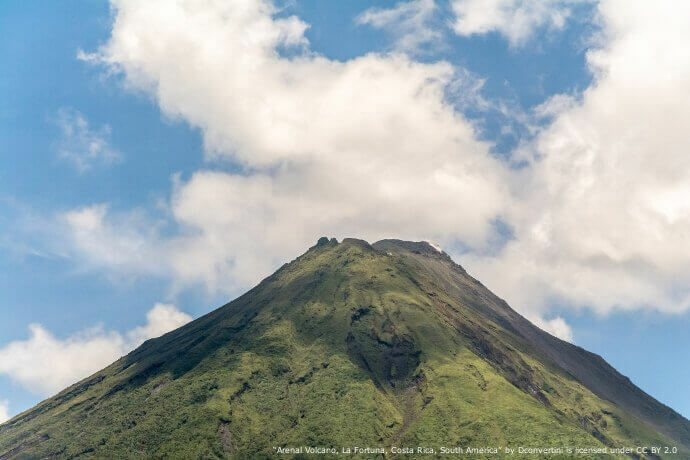 Use this guide to help plan your family vacation to Arenal. One of the main attractions in Arenal are the natural hot springs. The volcano provides heat to many pools and streams in the area. There are many options from resorts and tours to choose from. This is a great option to put your feet up and relax at the end of the day. If you are feeling more adventurous and want to see the landscape, zip lines are a great choice. There are many operators that feature incredible zip lines than span huge valleys in the Arenal area. For those seeking a bit of an adrenaline rush, check out one of these tours to take in the sights. Depending on the area you visit, you may need to consider if renting a vehicle will be a good option. Also for the thrill seekers out there, another option would be to go rafting. There are tours for all levels from beginner to the more advanced. Rafting makes for a very exciting afternoon that can will certainly be an adventure to write home about. Consider what items you might want to pack depending on your itinerary. For those that aren´t looking for something quite as heart pounding as rafting or zip lines hiking could be the way to go. There are options to hike up to the volcano, through the hanging bridges or through the Arenal National Park. Most tours will have a guide to show you the area and include fruit and a meal. This would be a perfect way to start your day trip before relaxing at one of the hot springs. Another option would be visiting one of the waterfalls in Arenal. You could combine this into one of your hikes. This would make for a great reward to end of one of your hikes, after a hot day of hiking going for a swim under a beautiful waterfall will add that cherry on top to your excursion. We are glad you found the information useful!